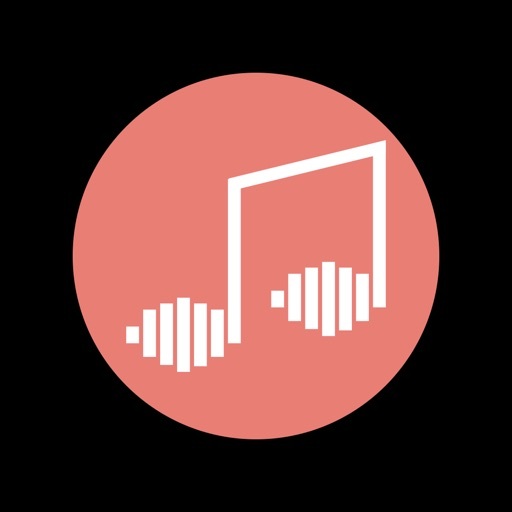 The Music Speed Changer** app allows you to easily change the playback speed and the pitch (key) of audio in real-time and independently from each other. The app also supports video (with zooming), subtitles (e.g. 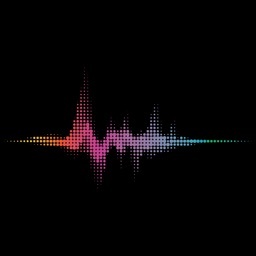 for karaoke), images (e.g. for scores), and text. 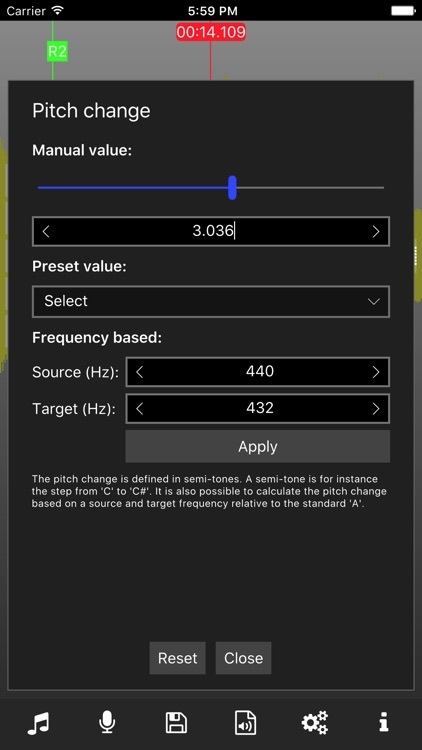 - Change pitch and tempo (speed, time-stretch) independently and in realtime using time and frequency domain algorithms. 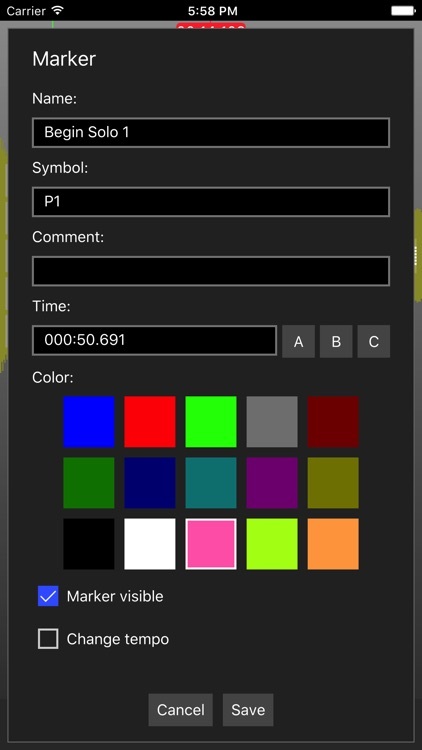 - Create range and position markers. - Loop and select regions. 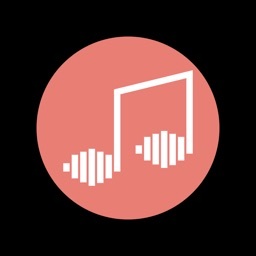 - Export/share and import songs with annotations (for instance for for sharing between music teachers and students). 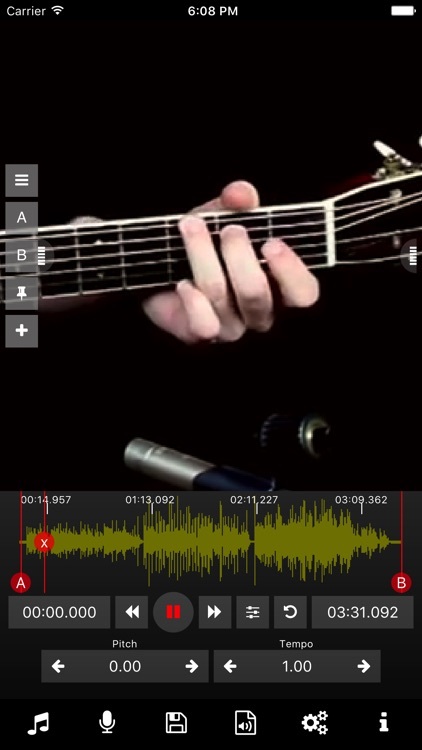 - Video view* with zoom support (for instance to get an exact view on a guitar player's hand). - Text view with auto scrolling and monospace font support (e.g. useful for tabs). - Subtitles view to show subtitles (for instance for karaoke). - Image view with zoom support (for instance for displaying scores in image format). 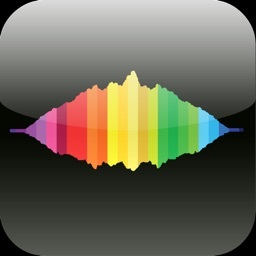 - Volume amplification, and simple voice reduction. 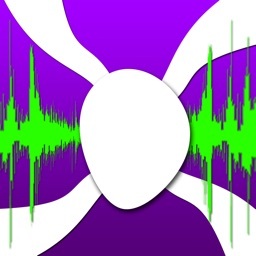 - Export modified audio to wav, mp3, m4a, and flac. - Batch conversion of files. 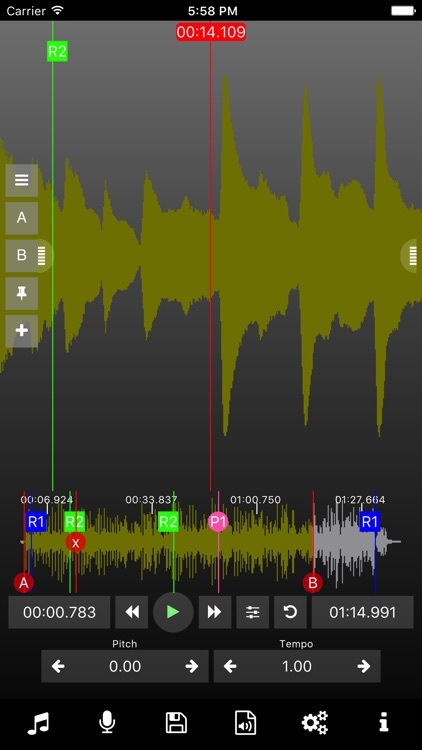 - Record audio directly in the app. - Frequency conversion (for instance to 432Hz). 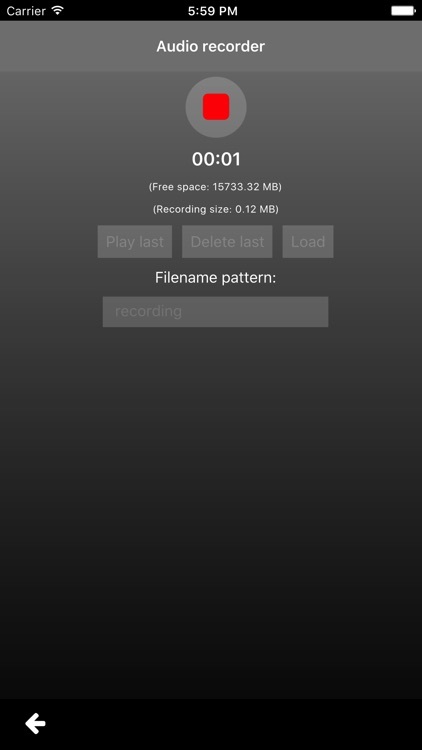 - Import audio from: media gallery, iOS "Open in" (supported by many apps, including DropBox), iTunes File Sharing (USB), and Wifi upload. * An iPhone 6 or better is recommend for the best video experience. The recommended video resolution is 720p. ** The old app name was "Audio Pitch and Speed Player"